This session will focus on untangling the web of laws that address access to housing, including the Architectural Barriers Act, the Americans with Disabilities Act, the Fair Housing Act, and Section 504 of the Rehabilitation Act. 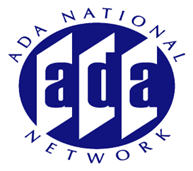 Presenters will engage in a more “advanced” level discussion of how the design requirements of these laws apply and review requirements in the ADA and ABA Accessibility Guidelines for residential dwelling units. Participants interested in this session are encouraged to review archived sessions on this topic for a review of the basic provisions.